10% of the population globally suffer from hearing loss. 5% of those need help in terms of either hearing aids or some other form of hearing rehabilitation. 2% of them gets fitted with hearing aids. But only 1% of them keep using the hearing aids and rest all leave the hearing aids in the drawer. You must be familiar with this story from so many people around you. In this era of iPhone and NBN, why are we still dwelling on those Huge, big chunky, whistling and noisy hearing aids? Do we really have an option there? Technology has come a long way in hearing industry as well like other areas. Current technology can help most people to enrich their lifestyle by meeting their individual listening goals. When it comes to choose hearing aids, we all get biased by so many factors like, which one to choose, what size will be better, which brand is good and mostly the cost. Over a period of 10 years of experience, Director & Audiologist Biswajit (Bis) Sadangi realized the importance of hearing technology to help people in most effective way to improve their communication, which are generally not being met by various reasons. He believes that, if hearing technologies can be tailored to suit individual needs and remove all these negative factors away, more people will accept wearing hearing aids and will create a better hearing community. People will lead a better social lifestyle, which otherwise are hindered by hearing loss. OUR GOAL : Take those hearing aids out of the drawers and let technology work for you to help you hear better. Let’s create a better hearing community. To achieve this, we provide detailed hearing evaluation to understand your unique listening needs. You evaluation will be followed by No investment (FREE) Hearing technology trial tailored just for you. Customized hearing aids to suit your individual needs (not generic needs). Test every technology in house by expert Audiologists and test running with existing hearing aid wearers to rate benefit before providing them to new hearing aid users. Choose right level of technology based on needs and cost to provide utmost satisfaction to our clients. We invite people who do not use use their hearing aids to test run our system of excellent hearing program for FREE. Manning Audiology (MAUD) is a privately owned Australian Company and it’s local. If you are serious about your hearing, we are here to help you. At manning audiology, you are our priority. If you are suffering from a hearing loss, we have the best technology. Because, we are privately owned, we are independent in our treatment plans. Here, you will not only get the best service in the area, but also the best solutions to cater for your problems. We do not believe that, “one size fits all” way. Here our University trained experienced Audiologist, will carefully examine your hearing problems with various computerized methods and provide you with choices in terms to your treatment. Treatments will be tailored to your needs. Best of all is, you don’t have to spend a fortune for it. We value our clients at Manning Audiology. So, we will make sure, you get the best technology, best services at most affordable cost. We provide Audiological services including FREE hearing checks*, Complete hearing test, hearing tests for kids, hearing aids, phones for hearing impaired, headphones for people with hearing loss, ear protection devices and tools, tinnitus test, tinnitus treatment and much more. As we are locally available as well as online, you can talk to us anytime. 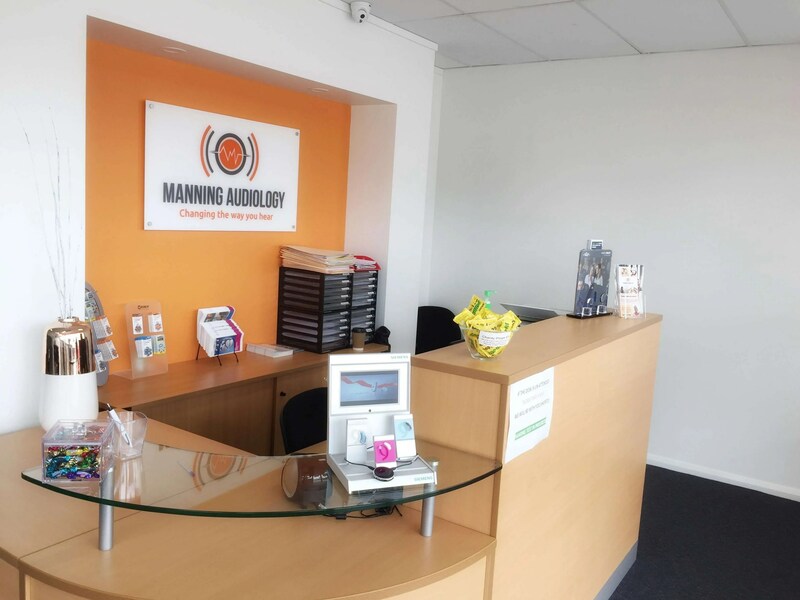 To know more about Manning Audiology, please drop in at shop 3, the clarence centre, 46A, Wynter Street, Taree or call us at 02 6551 7351. If you like being online, use the chat button at the bottom of the page and talk to us now. We will excel with your satisfaction. * screening test only for all. For pensioners and veterans full test is FREE too. Individual counselling by expert Audiologist The audiology experts at MAUD surround you individually and personally in all aspects of your personal situation. This service is free of charge. We support you in all steps that are necessary to select a suitable hearing aid and customize. We clarify, in particular, on the conditions that are necessary to receive financial support from your health insurance, Tax benefits or even compensation. Neutral and independent Neither we ourselves produce, nor do we have narrowed our devices offer on a few suppliers. In the market the other hand, is the rule. We are completely free to choose the equipment that we recommend. Manning Audiology is also independent of the large, nationally active hearing centres. Our advice is individual and neutral. It is determined solely by your needs. This is not the case everywhere. We will answer to any questions that you have. And we keep you informed about everything that is important so that you can make a good decision when selecting hearing aids. State of the art hearing aids from leading brands We take our hearing aids from all major manufacturers. These have excellent, technically advanced and mature products. You can be sure that these modern devices comply with the current state of research and development. We guarantee it. Affordable Prices Our Offices are paperless. Less office surplus. We also use the Internet as a communications medium. We forgo expensive newspaper ads, trade shows or similar. These cost advantages we use to offer you our hearing aids at very reasonable prices. Your Local Audiology Experts As our presence is local, you do not need to travel too far to take in to leave customize your devices individually and expertly. We are also available for subsequent repairs and services at your disposal. We ensure you receive on-going care and maintenance for your hearing devices as well as your hearing. We follow-up with you regularly to ensure that you receive the best service throughout. Insurance benefits and service packages We also offer extended insurance benefits and service packages. This will provide you peace of mind that, your hearing is well taken care of and one less thing to worry about. Talk to us about it.